Kyle Buthman and Nick Alheit recently traveled to Jamaica with the Gudauskas brothers, California's pro surfing trio, to shoot a documentary about surfing in Jamaica. Through their organization, the Positive Vibe Warriors, the brothers where able to get over 200 surfboards donated and shipped to Jamaica. 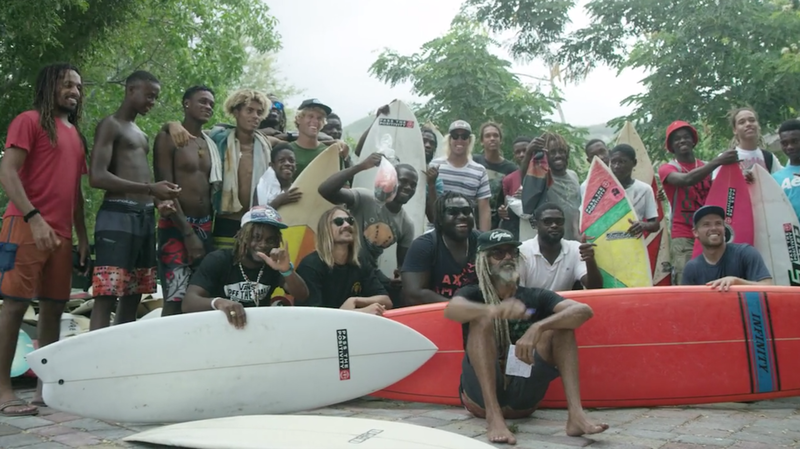 They followed the boards over seas to hang out with the surfing community in Jamaica and distribute the boards to local youth and surfers who otherwise have no access to surf equipment.